I've had the Sweet Peach blog for over 3 years now and it seems that I'm a bit overdue to write a post just about peaches. Since I live in Georgia, I recently headed down to the popular Pearson Farm in Fort Valley to learn more about how they've created some of the most popular peaches in the country. I had no idea what to expect and was pleasantly surprised to find their headquarters so inviting and full of energy. 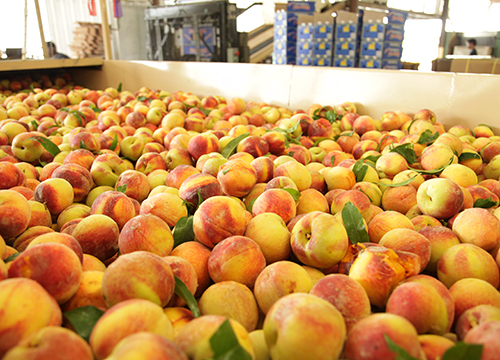 The Pearson Farm facilities are open to the public and you can observe their entire process, beginning with the arrival of peaches freshly picked, to them being washed, sorted and packed. 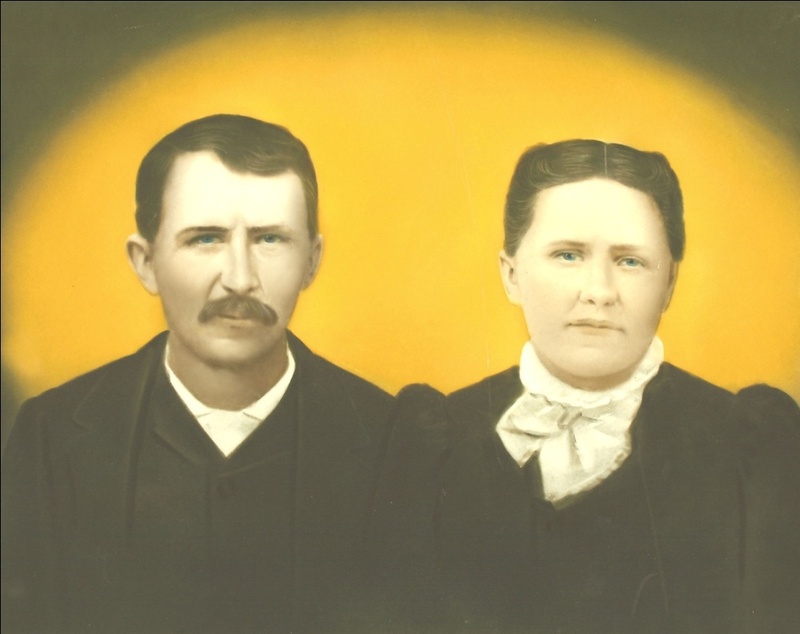 ...when Al and his son, Lawton (now 5th generation of Pearson Farms) took over the business together. Although I'm a lover of peaches, I had no idea how many kinds there were. 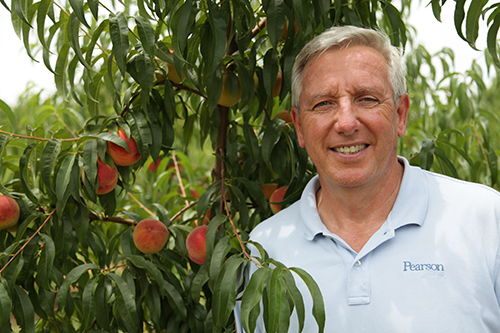 At Pearson Farms they produce about 30 different varieties of peaches that are ready for picking between May and August. 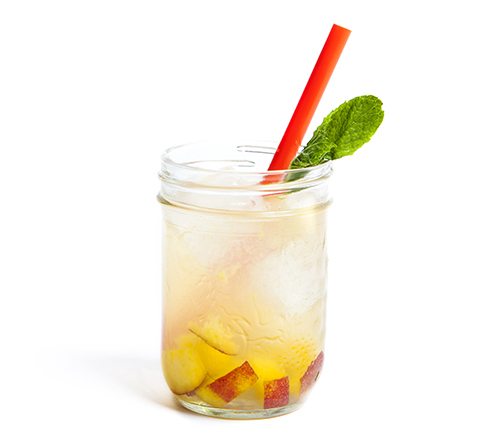 I was surprised to learn that each peach variety lasts only 10-12 days. July is peak season so they're in full production mode now. My friends Monica and Chris joined me on the trip down to Fort Valley. As I snapped some photos, Monica, a fellow TV producer, immediately jumped in to take notes. Gotta love that girl...she looks like the perfect southern reporter too, doesn't she? 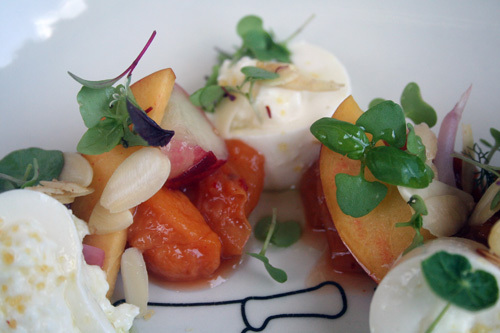 So the first thing Al did was give us a taste test of the ripe peaches on his farm that week (which was early July). 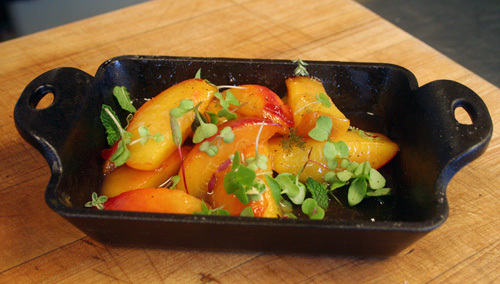 These included the White Lady, which is actually my favorite as the white peaches have less acid and more sugar. We also tasted the Elberta, a very popular freestone peach ideal for eating, canning and freezing with a sweet honey taste. After the tour of the facility I was hoping Al would take us on a short car ride to see the peach orchards. The most gracious of hosts, Al made the offer himself without us even having to ask. In the sweltering Georgia heat, Al showed us around his family farm while sharing his incredible life stories as a peach farmer. Life on a farm is multi faceted and complex and Al has lived and breathed it his entire life (starting at age six, making 10 cents an hour). There was so much we learned, so much more we wanted to know...but I think we'd have to live our entire lives on a peach farm to begin to grasp its nuances and rhythms. And to be a peach farmer, you gotta have tough skin. Weather is a topic of discussion all day, every day as it's the determining factor of each year's crop. Al and the over 200 workers on the farm, do their tireless work but it's up to Mother Nature to decide each year's fate. Will it rain? And if so, how much? What about frost? Hail? Drought? Al wouldn't give away any trade secrets on farming the perfect peach but I did learn he doesn't like rain all that much. If it must rain, he hopes it happens after sun up. Al, "I don't like my peaches to go to bed wet." At Pearson Farm, there are 1500 acres that are home to 250,000-300,000 trees. 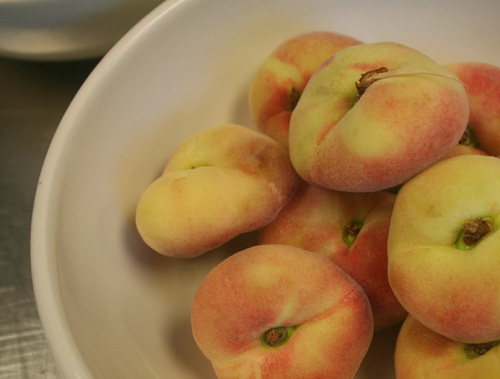 Peach trees can supply fresh peaches for up to 12 years while pecan trees (also on the farm and another important industry for the family) have been growing on the land for over 100 years and are still producing to this day. A big, heartfelt thank you to Al Pearson for his time and generosity. After our trip to the orchard, we kicked back on the rocking chairs and had a big helping of Pearson Farm peach cobbler with ice cream. 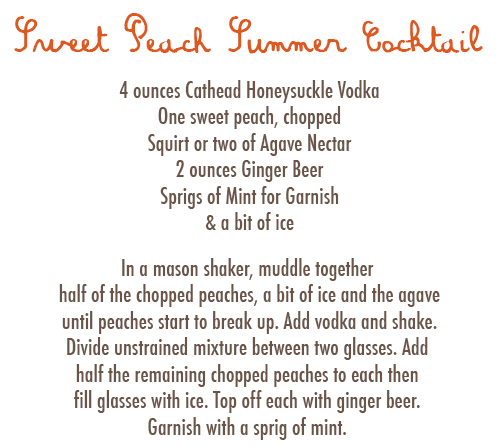 Such a fun trip- and if you wanna do it, act fast as peach season ends mid August. 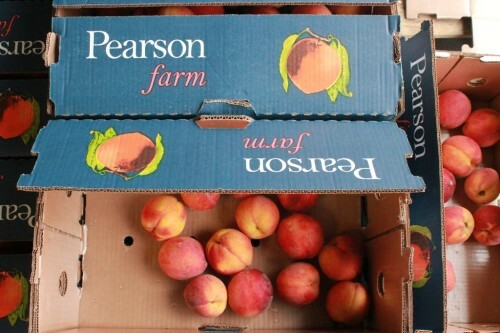 If you can't visit Al and the team in person, or pick up a Pearson peach at a local Farmer's Market, head to their website where you can get 'em shipped to your front door. 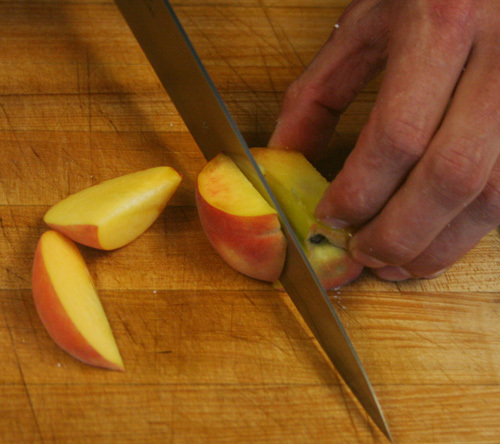 No matter which method you choose, let's just hope your next peach is a sweet peach.